Forbes contributor Melik Kaylan has written a two part expose of the Zarrab Trial. The headline of his first article should hint as to why I've mentioned Magnitsky. Turkish police apprehended CEO Suleyman Aslan, the sons of three cabinet ministers and scores of others in three overlapping probes targeting corruption in government tenders, money laundering and gold smuggling. Prime Minister Recep Tayyip Erdogan’s government purged at least 60 police chiefs in response, sparking concerns of an escalating confrontation with former political ally, U.S.-based Islamic cleric Fethullah Gulen, who has a wide following in the police and judiciary. Aslan was formally arrested two days ago after authorities found $4.5 million inside shoeboxes at his house, Hurriyet newspaper said last week. The money was to be donated to building Islamic schools in Turkey and Macedonia, he said, according to the newspaper. Reza Zarrab, an Iranian-Azeri businessman, was among those arrested alongside Aslan on Dec. 21. Zarrab traded a ton of gold a day, Haberturk newspaper reported two days ago citing a statement he made to prosecutors. That was 2013- What's going on now? I'll link the second part a bit further down in the post. The Forbes excerpts are featured in blue bold. I encourage you all to read both parts for yourself though I'll include some excerpts below. "The arrest was in March last year. He (Zarrab) ultimately turned states-evidence and is now the star witness in a case whose gasp-inducing revelations may yet bring the Trump and Erdogan regimes to their knees – with a few other notables in between. Such as General Flynn who allegedly promised to free Zarrab in return for $15 million from Erdogan. Or Rudolph Guiliani who, it's believed, met with Turkish officials in order to free Zarrab with a prisoner-exchange deal as Zarrab's lawyer for some months." "In fact, there's a far larger story beneath the hole-in-corner pocket stuffing tale of corrupt officials, a wider story that no one is telling as yet. One that has strategic implications, regionally and globally. Russia, the Middle East, Qatar, Saudi et al." 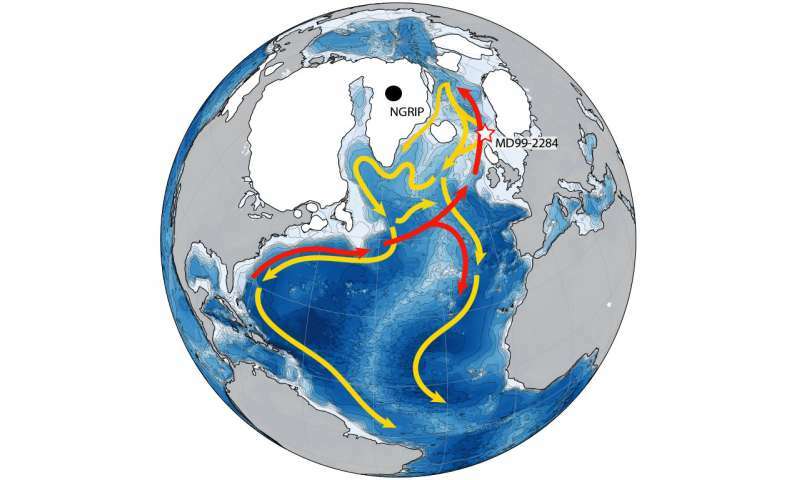 This trial does indeed have global implications. "You need to know that the Turkish President is directly fingered in the trial papers – they name his family explicitly. Zarrab donated massively to Erdogan's wife's charity and did business with his son. And above all, the trial judge has admitted as evidence the splendidly histrionic recordings leaked in 2013 of Erdogan telling his son Bilal to get rid of tens of millions of dollars in the house because of a corruption investigation. Erdogan was then merely Prime Minister and the Turkish state could launch quasi-honest probes that might incriminate him. In one recording he asks his son if it's all been cleaned out and the son replies whining 'all but 30 million euros.. we havent managed to deal with that' – much to his father's disgust. Hard to hide so many euros. An outraged Erdogan, at the time, dismissed the recordings as fake, as attempts to blackmail him and harm Turkey. He got away with it. The point is, the presiding trial judge in New York sent the recordings for expert examination and has deemed them genuine." Why would the trial judge allow the 2013 recordings as evidence at all in this trial? The recordings may well have been faked, because if you read the words used in this article there were not verified or validated. They were simply "deemed" genuine. Who "deemed" them genuine? How did they come to that conclusion? Deemed simply means to have an opinion To regard or consider. It's really anyone's guess how this determination was made. It seems most likely that some "authority" held or expressed an opinion, deeming the recordings genuine. Which still does not make them recordings real or genuine! The Forbes piece goes on to talk about the arrest warrant issued for Graham Fuller. Covered here December 01/2017. Melik Kaylan frames the move as "anti-americanism" And then goes on to blame and demonize Russia. "Much of the information about CIA involvement, it turns out, came from the Russians. Alexander Dugin ('Putin's Rasputin') appeared in person on Turkish state television asserting the conspiracy and claiming that Russian officials gave the details to Turkish authorities.What you need to grasp crucially is the recurring pattern because we have seen it now in several countries, in Russia, in Georgia, in Venezuela, in Turkey and increasingly in the US. Once the Kremlin dirty tricks machine gets a foothold the process falls into grooves: designated bogeys, waves of conspiracies, timed distractions, confused citizens, politicized state institutions, pyramidized economies run by oligarchs and so on. This one was timed, no doubt, to pre-empt the Zarrab revelations"
Since the coup happened in 2016- I'm not sure why the Forbes piece is written as if the Zarrab revelations and the CIA involvement in the coup are connected. Allegations of CIA involvement in coup go back to the immediate aftermath of the coup. "Erdogan's crackdown on hard currency expatriation is also very Putinesque. Remember when Putin went through a phase of insisting that people bring their money back home?" When the source is viewed negatively because of its association with another person or group who is already viewed negatively. As I write this, the Zarrab trial has gifted Erdogan a kind of EZ Pass – Zarrab himself was taped on the phone from jail telling a Turkish contact that in the US you had to 'lie to get out of jail – even if you're innocent'. I would've liked more context to this statement. Who was the contact? Was it a family member? "Since Zarrab no longer stood in the defendant's dock, who did? Several Turks including a former economy minister were accused but only Mehmet Hakan Attila actually came from Turkey and gave up to US authorities. Attila scarcely counts as a bigwig, a onetime sub-CEO at the main bank that did all the money-laundering, Halkbank. He was, in effect, the lone symbolic defendant. Why would Attila voluntarily travel to America knowing the likely outcome: a prison sentence? The ambient gossip surmises two things. Attila came as a loyalist for Erdogan and hoped to damage Zarrab's testimony. Or he came because he felt unsafe in Turkey as someone who knew too much." Why did Attila, a nobody at Halkbank (scarcely counts as a bigwig) come to the US and "give himself up"? Did he feel unsafe in Turkey as someone who knew too much? Or did he just see an opportunity and take it? A golden opportunity? "during the cross-examination, Zarrab said he was scared in Turkey, that he'd been threatened to keep silent, before coming to America where he got arrested last year"
Now's the time to wrap this up- What's really going on? What is this trial all about? It seems to me the narrative that is emerging from this trial is creating a justification, via managed perception, necessary for sanctioning of Turkey. Magnitsky style. Magnitsky 2.0. "To take the first question – why would US prosecutors officially include Zarrab's testimony that he lied to Turkish officials in 2013? A matter totally beyond the trial's jurisdiction. That was the year when Erdogan was investigated while still Prime Minister for taking bribes – and exonerated. Illicit recordings revealed him angrily telling his (rather slow-witted) son over the phone to stash the millions somewhere. He denied it and claimed the recordings were fake. Zarrab backed him up at the time. But the New York court, prior to the trial, got the recordings to experts and accepted them as real. 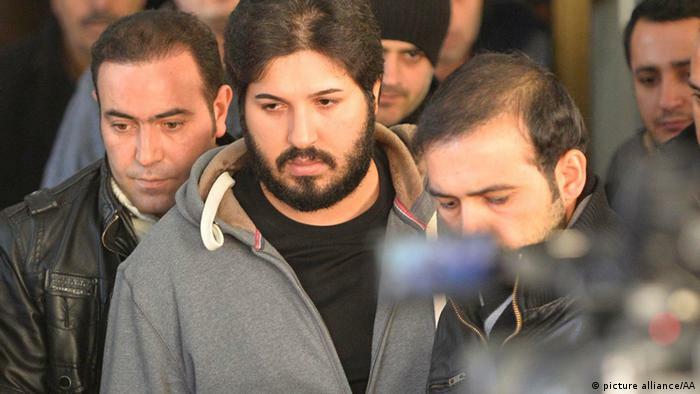 Zarrab has likely told US authorities that he no longer backs Erdogan's denials. Which means that Erdogan or someone in his family might yet find himself somehow in the cross-hairs of US justice in further trials. Which also means that a kind of Magnitsky-like sanctions regime might be levelled at top people around Erdogan. The Fethullah Gulen detail too seems fecund. (fertile, prolific, inventive) Remember it was Attila's defense lawyers in Turkey's pay who asked Zarrab about it. The prosecution didn't object. Insiders that I've consulted say this: there could be a battle down the line with the Trump administration trying to send Gulen to Turkey. These are the early skirmishes. If Turkey's ruling elite comes under US sanctions that certainly won't happen. But sanctions will equally certainly put Erdogan under enormous pressure - with his cronies unable to go abroad and possibly his family members too. From there on, anyone in Turkey seen to be aiding and abetting Erdogan's regime, from bankers to media mouthpieces to businessmen, will feel globally stigmatized. And voters won't like their country isolated and shamed. They may even unseat Erdogan. In plain talk... The Fethullah Gulen details is ripe for the picking. If this trial goes as it appears to be going. And let's not mince words here - this is a show trial. It's intended to create the conditions to promote a specific agenda. Pressure the Erdogan government. Ostracize them globally. Make life miserable for Turkish citizens. Encourge regime change. If you are at all unfamiliar with the whole Magnitsky affair- Greencrow has recently covered the topic, including a relink back to a post yours truly, worked on years ago, at the Suspicious Deaths Blog with AP, previously of Twelfth Bough & the blogger formerly from Thirteenth Monkey- Miss you ladies! Magnitsky/Browder was a topic AP had covered prior to the three of us doing the 2011 post. GC: If you want to leave the links to your other posts on the subject- I'll add them into the post. Concluding: Wash, rinse, repeat. The US concocted a narrative that created the justification for the Magnitsky act. They are doing the same with the Zarrab trial as the basis for a Magnitsky 2.0 , which will quite likely including a sanctions regime to try and take down the Turkish government. 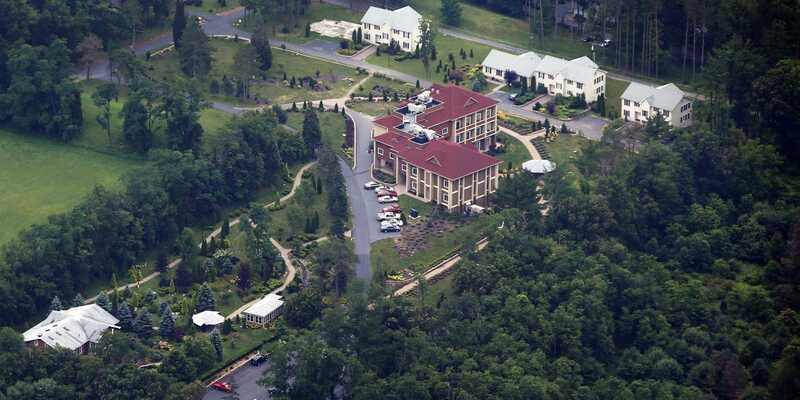 And Gulen will stay safely ensconced in his giant retreat/25 acre compound in the Keystone state. Final thoughts... Turkey is going to be a tougher nut to crack then had been anticipated. The failed coup, with the US sitting on Zarrab, prepping their kangaroo court case... taking their destabilization campaign to the next level. I was in the kitchen making lunch today while my dad was watching Turkish television in the living room. He was watching Erdogan speaking at a rally in Sivas and I could hear Erdogan speaking. He is so manipulative and charismatic. He said that something like, 'you won't make us bend down.' He also talked about Netanyahu being a criminal and that it was Turks who welcomed the Jews from Spain when the whole world turned their backs on them. I would like someone like him as our leader. My opinions of him have changed in the last year. what did your Dad think of the speech Erdogan made? He said rather jokingly that Erdogan is 'The Leader'. My dad likes him. Everyone either likes him or is 'ok' with him. People are quite drawn to him. When I listen to him, I do not want to stop. Things are not as they are portrayed. People in Turkey just do not see him as this 'Islamist'. I was guilty of believing the secular vs Islamist narrative in the press but after actually talking to people, I have changed my views. He seems to unify people from all walks of life and has good support amongst Kurds and the Christians at least tolerate him. When he condemns the PKK, he always makes sure to say that it does not represent the Kurds. When he condemns Israel, he makes sure to say that he does not mean all Jews. When he condemns ISIS, he makes sure to say that they do not speak for all Muslims. It is amazing how different things are when you look away from your screen. And I forgot to remind everyone that Turkey paid it's debt off to the bankster scum years ago.. Especially in the last three years? So, since 2013? In 2013 Turkey paid off the IMF. Turkey took its first loan from the IMF in 1961, according to Mr Babacan. It last borrowed in 2008, and today’s payment will mark the first time Turkey has no outstanding debt to the fund since 1994, he added. When Erdogan’s government came to power in 2002, it owed the IMF $23.5 billion, according to the state-run Anatolia news agency. Everything in this world is driven by profit. Money makes the world go round. You have totally confused the Forbes reporters reference to the arrest of Zarrab in USA - which of course did not take place 'four years ago, with the arrest of Zarrab in Turkey in 2013. This is the kind of embarrassing faux pas which happens to those who abandon reportage of events for mere rants.